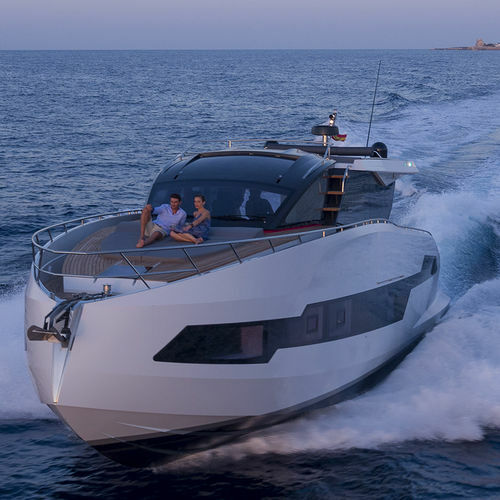 The 655′ Coupe is the first model built within the new and exclusive range of yachts that replace Astondoa’s Open range. The Coupe range marks a change towards ships that are increasingly modern, sporty, original and bold. There are three other models in this range—355’, 555’ and 755’—and they will soon become a reality. 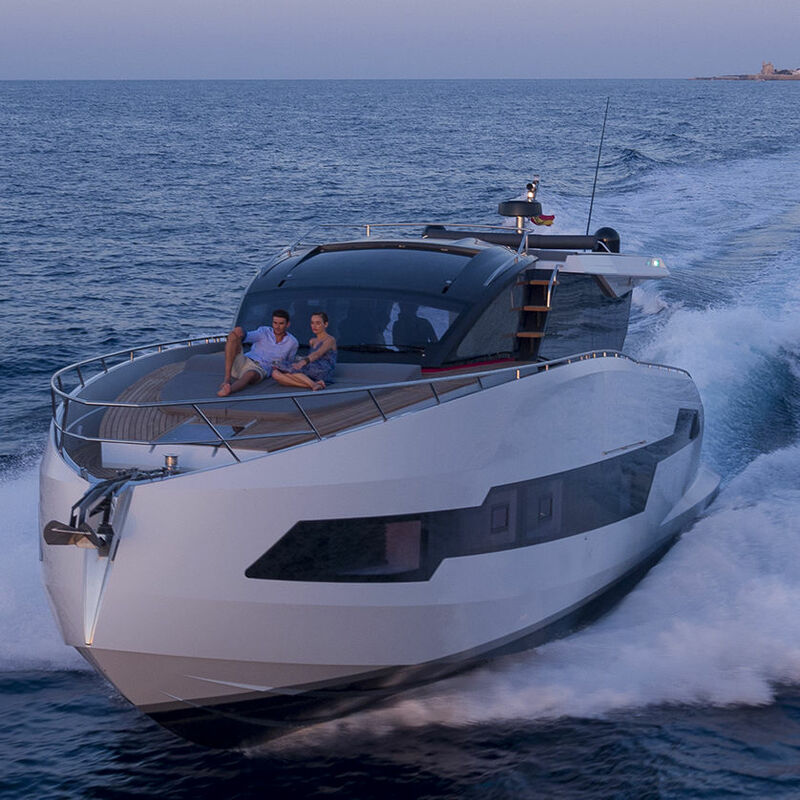 The 655’ Coupe is a yacht with clean and sporty lines that the company has created to mark its 100-year history. Special aspects of the design include a bow at an inverted angle, a superstructure that is fully enclosed in glass, stairs leading to the upper sundeck, and a tiered aft deck in line with the style used in large ships.